The Environmental Protection Agency has not been shy in its embrace and promotion of the “environmental justice” (EJ) movement. “Working for Environmental Justice” was one of seven priorities on EPA’s regulatory agenda last year. And its February “Plan EJ 2014 Progress Report,” full of loaded terms like “overburdened communities” and interspersed with photos like this one, reflects an “us vs. them” view of policy making and law enforcement, one that favors confrontation over seeking collaborative solutions. But EPA knows that reports and rhetoric alone won’t achieve “justice.” The Progress Report noted two proposed policy changes at EPA’s Office of Civil Rights, one of which could empower EPA to overturn state-level emissions permits that otherwise fully comply with federal law. Disparate Impact Theory Background. During the 1990s, EPA adopted a very aggressive interpretation of a provision of the 1964 Civil Rights Act which applied to state use of federal funds, Title VI. State environmental regulators, to whom EPA delegates federal emissions permitting authority, could be accused of discrimination if the permits had a negative, disparate impact on “overburdened communities.” EPA formalized this theory into a “draft guidance” and EJ activists soon began filing Title VI complaints with the agency’s Office of Civil Rights. At the time, WLF, as well as others, argued that EPA lacked such authority and failed to follow administrative procedures. EPA’s first ruling on a Title VI complaint in 1998 was quite pivotal. The agency presumed that no “adverse effect” (a key element in proving disparate impact) on minority or ethnic populations existed if the permitted entity (there, a steel mill in Michigan) would be in full compliance with the permit’s emissions limit. The EJ activists could not overcome that presumption, and EPA dismissed the complaint. EPA formalized that presumption in 2000 in a new draft guidance on Title VI complaints. Rebuffed by EPA, EJ activists tried to bring disparate impact lawsuits directly against state regulators, but courts ultimately ruled that no private right of action existed in Title VI. EPA’s New, “Current Thinking” About Title VI. 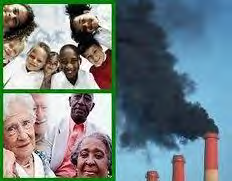 Fast forwarding to January 29, 2013, EPA quietly released a “policy paper,” Title VI of the Civil Rights Act of 1964: Adversity and Compliance With Environmental Health-Based Thresholds. The agency pulled out every trick in its evade judicial review playbook with this document. It wasn’t published in the Federal Register, thus relieving EPA of the need to justify its actions, estimate compliance costs, etc. The document is referred to as a paper which reflects “EPA’s current thinking about enforcement of Title VI.” And in the first footnote, EPA doubles down on its judicial review evasion efforts, stating that once this “paper” is finalized, “the policy described herein will supersede the corresponding discussions” in the 2000 draft guidance we mentioned above. So a current thinking paper will take the place of a draft guidance. Breathtaking.